Businesses that focus on individual consumers rather than other businesses will find that social media is almost always a good idea. In these modern days of late-stage capitalism, social media platforms are essentially just gigantic advertising platforms with multiple channels and a superficial trick to keep users from recognizing the truth. With Facebook, it’s the promise of interacting with friends and family you don’t otherwise see very often, and the institutional inertia of having over a billion users and being nigh inescapable. With Instagram, it’s the veneer of an image-content focused platform where the merit of your imagery leads to your content floating to the top, rather than sheer cynical follower count and ability to pay for positioning. When you’re operating a business in a B2C role, you might be asking yourself which social media platform is the best choice for you. Luckily for you, I’m here to help. First up, I have to tell you the words you don’t want to hear. The answer, of course, is “use both of them.” Use every social network you can get your hands on, with the caveat that you need to use them reliably and consistently. If you can only post once a month, on an inconsistent basis, whenever the inspiration strikes you, you’re not going to get much use out of any platform. You’ll struggle to build and maintain an audience, you’ll get no engagement, and you’ll struggle to even find value in paid advertising. I know many of you don’t want to hear it, but it’s the truth. Still, though, you might argue that you only have the time and resources to dedicate to one platform. I would say that’s a false premise; there are plenty of tools that can help you manage more than one social network at a time, and in fact, there’s a lot of crossover between Facebook and Instagram that can make managing them simultaneously fairly easy. Still, for the sake of argument, I’ll pretend that you only have the cognitive processing cycles available to handle one social network at a time, so you have to pick between them. In that case, the answer is “it depends.” Both Facebook and Instagram have their pros and their cons. You need to analyze your business to see which best suits your needs, and make the choice. Some brands do perfectly well ignoring Facebook more or less entirely. Some only use Facebook and do just as well, with nary a thought to Instagram. The ideal path is to pick a single social network and focus on it until you have a dedicated social media plan and know what you’re doing. Once you have a firm foundation, you can expand. Using resources both new (your initial social media audience) and old (your existing blog audience) you can start a new social network with an initial burst of traffic. Start a Facebook account, and then refer people to your Instagram account when you launch it, or vice versa. Let’s start with a look at Facebook. What benefits can it bring to your business, and what are the drawbacks to picking it as your primary social network? On the benefits site, the biggest is simply the massive audience you can potentially reach. 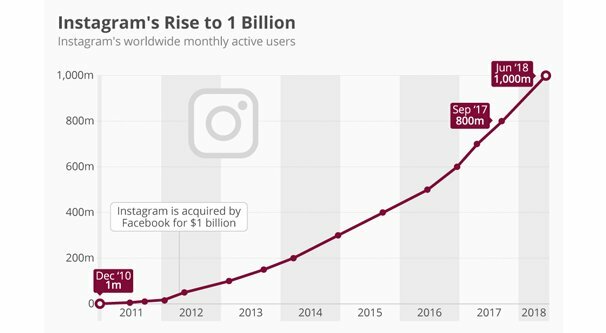 Facebook, as of the end of 2018, has over two and a quarter billion monthly users. The entire planet only has 7.7 billion people on it, meaning Facebook has access to approximately 28% of the global population. That’s insane. No, seriously, that’s ludicrous. Of course, there’s no way you’ll be able to actually reach that many people. Sure, putting your content on Facebook means technically anyone in that audience can see it, if they go looking for it. That’s the kicker though, right? Unless you pay to put it in front of them, or someone 1) follows you, 2) sees your post, 3) shares your post, and 4) manages to put that post in front of someone else, no one else can see the posts you make. 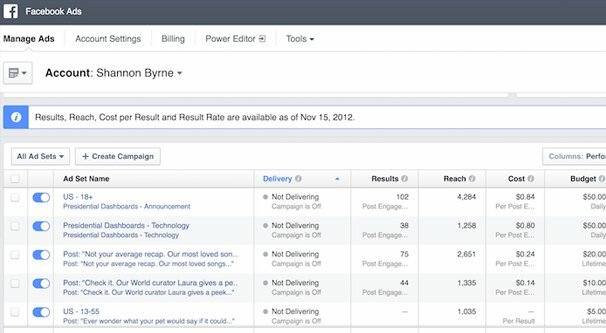 Facebook won’t just randomly show your content to people who haven’t expressly indicated their interest in it. There’s no curated feed of random content, there’s no discovery outside of intentional searching and friend sharing and paid advertising. 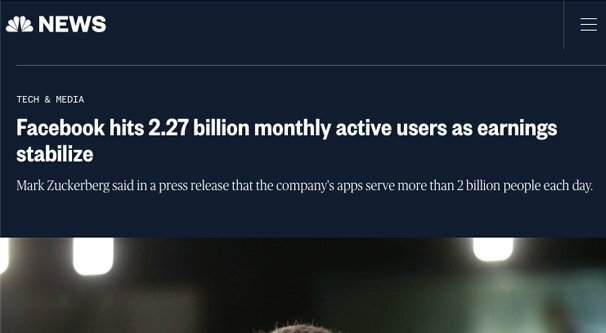 Plus, with 2.27 billion users, you have to remember that the vast, vast majority of them are completely useless to you. My guess is that the majority of the people reading this article run small businesses, the kind that have a website and a blog and not much else, or maybe a single retail location. Most of you don’t have the ability to fulfill orders outside of your home country, let alone outside of your home continent. A small retailer in Kansas isn’t going to eat the shipping costs of sending products to Mexico, let alone Brazil or France or Australia. I may sound like I’m calling Facebook useless, but it’s really not. The sheer level of saturation Facebook has achieved means you’re guaranteed to find your customers on the platform. The variety of tools Facebook has available for reaching your customers are unprecedented in their power. Audience targeting, analytics, the ability to go suddenly viral; these cannot be underestimated. Facebook is “easy” to use, though I wouldn’t actually call it easy. There are about a million different blogs written about how to best use the platform for marketing, though, so detailed guides exist for pretty much anything you could possibly want to do. It’s the first thought when anyone says social media. Finding real success on Facebook is a relatively slow process, which can be annoying when you’re already working with the slow process of white hat SEO with Google. You want to jump in, see immediate results, and make a determination of whether Facebook is useful to you or not. If you approach it with that attitude, it’s going to fail to meet your metrics. You need to recognize that using Facebook means getting in it for the long haul. Facebook benefits from creating high quality content that is actionable and shareable. People these days are keenly aware of how much content is being thrown their way every day, and are very picky about what they want to read. If your content is superficial, boring, or non-unique, it will be passed over and ignored. Facebook also benefits from learning its algorithms and figuring out how to softly game the system. You can’t blatantly violate the rules and get away with it, but you can exploit the psychology of the average user to your advantage. It’s a skill you’ll have to learn – or an expense you’ll have to pay in hiring a social media manager – if you want to succeed. Instagram has a few benefits for certain kinds of brands, which are drawbacks for other brands. The first is, obviously enough, the platform’s focus on images and video. You absolutely need, 100%, no negotiation, require the ability to produce high quality photos and video content. Even the gritty “behind the scenes” content needs to be well produced. Grainy webcam screenshots or photos with motion blur simply aren’t going to cut the mustard. If you’re handy with a camera and have some photo editing skills, this is barely a barrier to entry at all. If you have no idea what DSLR means, or just figure your iPhone 3’s camera will cut it, you’re not going to find much success. Instagram’s demographic is also almost entirely younger people. It’s still a massive social network with over a billion users, which would be astonishing if it wasn’t sitting next to Facebook making it look like Pluto compared to Jupiter. 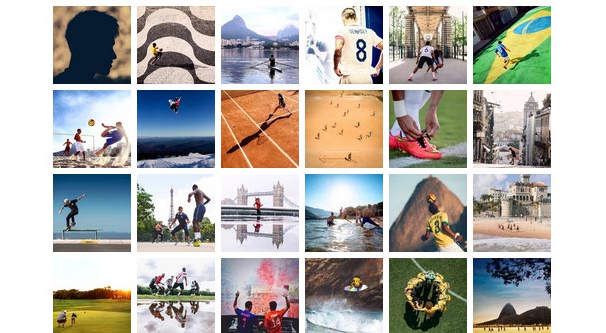 If you’re reaching the right demographic, Instagram is basically packed with your ideal users. That, though, is a downside as well. If your business tends to focus on the older generations, you’re not going to have much luck on the image-focused platform. It’s so squarely aimed at people between 20 and 40 that anything outside of that peak is going to struggle. The image focus is itself both a pro and a con as well. If you’re in a business that is very photogenic, or you can twist your business to be photogenic, great! Think artists, think sculptors, think Red Bull and their twist on the adventuring lifestyle. On the other hand, businesses that aren’t very photogenic – the plumbers, the electricians, the software developers – don’t have as much leeway and have to get a lot more creative. That’s not to say that you can’t succeed, it’s just a much higher barrier to entry. Not only do you have to do all of the image and video production, but you have to figure out what the subject of your images even can be. Mailchimp is one example, though they’re a B2B business, they still illustrate my point. They’re a brand focused on email marketing and their primary offering is software. How do they make that photogenic? They don’t. They use graphic design and not much else. Their Instagram account has just under 90K followers, which sounds like a lot – and it is for a small business – but compare it to their Facebook account. On Facebook, they are much better suited to their audience, and they have almost 400K followers. Both Facebook and Instagram have their benefits to a business, but my general advice is to start with Facebook. It has a rather low barrier to entry and there are tons of tutorials available to make it easier to find a basic level of success. You can operate completely for free – other than your own time investment – until you start seeing some measurable returns, and then reinvest some money to kick your Facebook into overdrive. The exception to this is if you have a business that is very youth-focused or is very visual. Fashion brands love Instagram. Any business where you sell art or other graphically intensive products can go quite well. Businesses that produce entertainment are good as well; music and media work nicely on Instagram. Other blog posts will dig into a bunch of questions you should answer to make this decision. What are your goals? What are your channels? What is your budget? Where are your competitors? I say all of that is excessive. Pick Facebook unless you have a compelling reason to skip it for another platform. 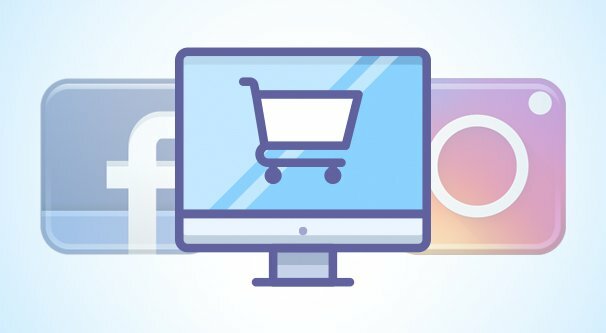 Luckily, many of the tips that help newcomers to Facebook or Instagram succeed are the same between both platforms, so I can summarize them here. Create high quality content. 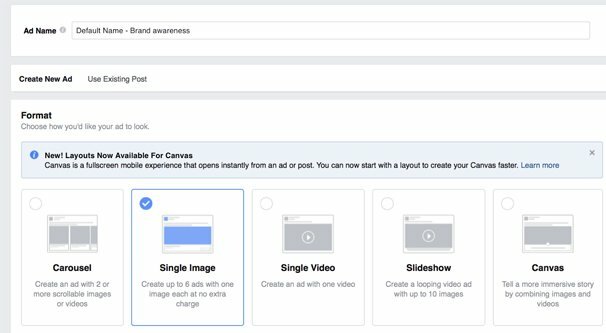 Blog posts for Facebook, images for Instagram, short videos for both. Avoid focusing on sales. The number one mistake I see newcomers make is to dive directly into promoting products. Your users are there to be consumers of content, not to spend money. Make them trust you first, then sell to them. Post no more than twice per day. The vast majority of brands don’t have enough content of a high enough quality to support even a twice-daily posting habit. Consistency is key. Post on a regular schedule, even if that regular schedule is only three times per week. Ignore paid advertising until you have enough of a working understanding of your chosen platform to make it successful. This means building enough of an audience to know what your key demographics for the platform are. Don’t give up early. It’s discouraging to work for months and see nothing in return, but just like blogging, building up a social network takes time. And, of course, do your reading. 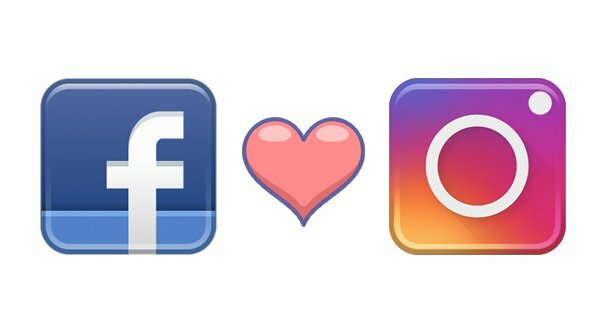 There are plenty of posts about both Instagram and Facebook you can peruse to learn, and learn you must.